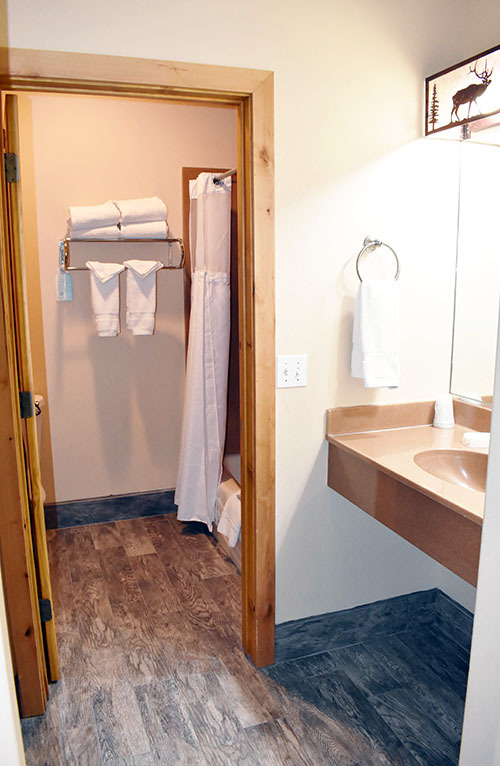 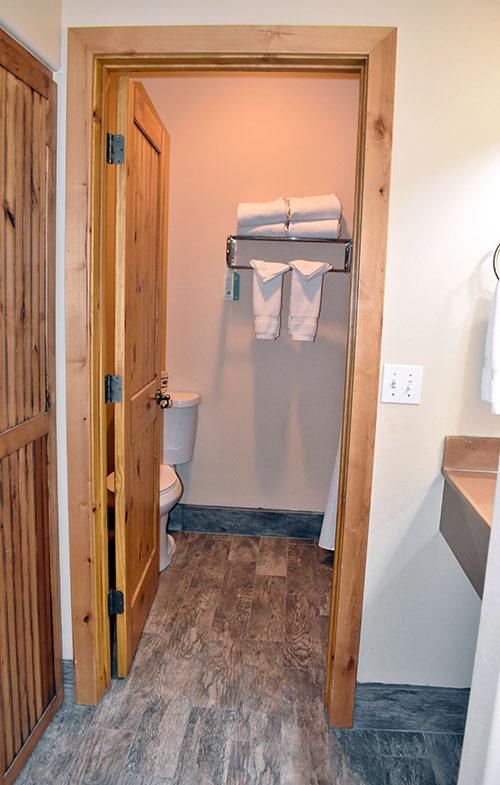 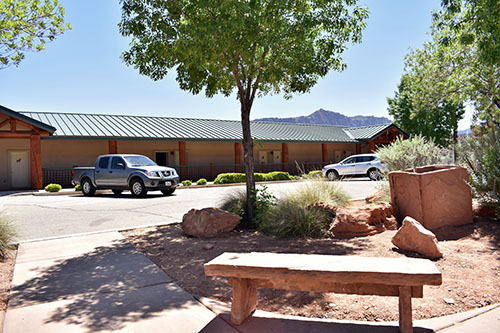 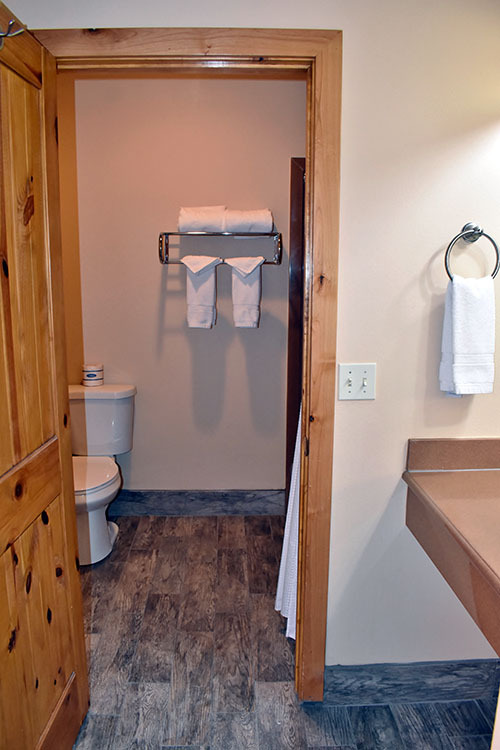 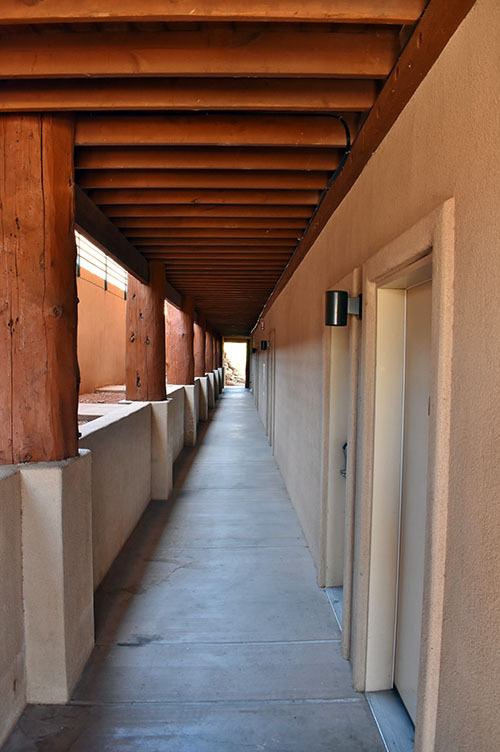 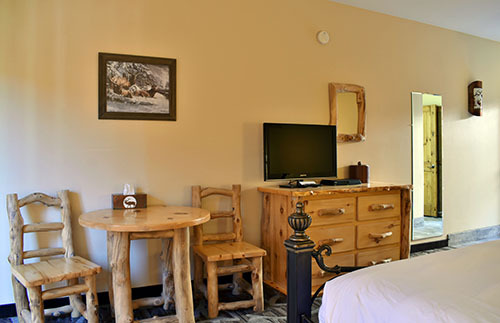 At approximately 400 square feet our standard queen rooms feature two queen beds with comfortable rustic style décor, a television, Dish satellite channels, mini refrigerator, coffee pot, complimentary coffee, hair dryer, iron, and ironing board. 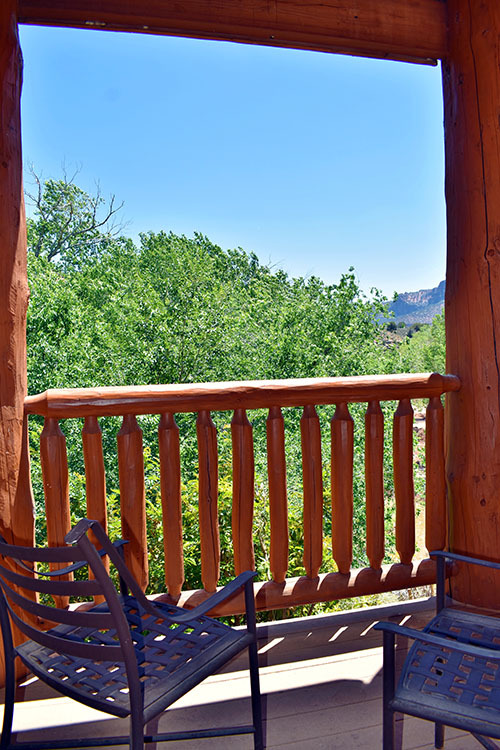 A private balcony or patio awaits you just outside the French doors to view the wonder of nature. 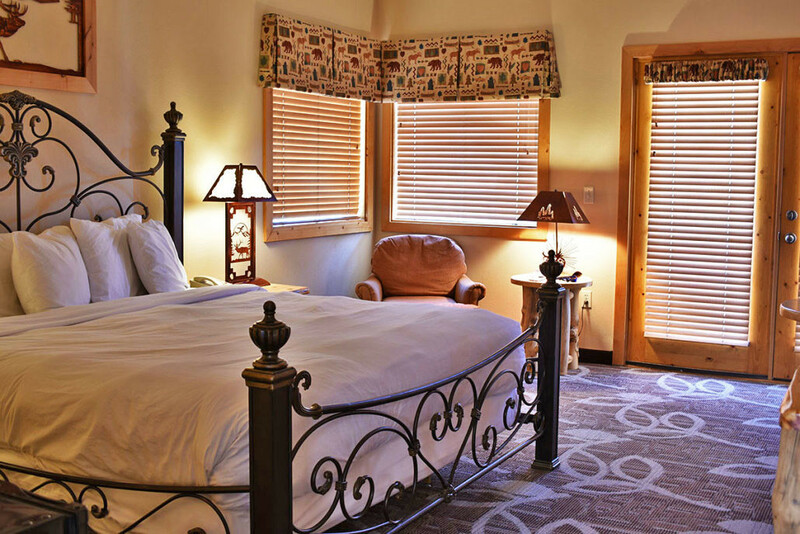 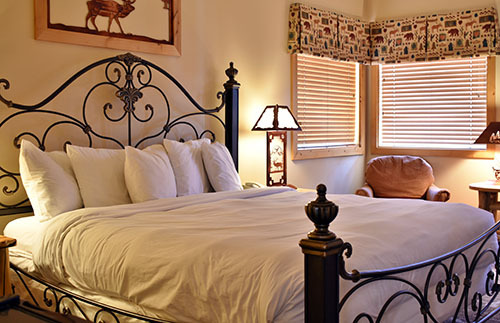 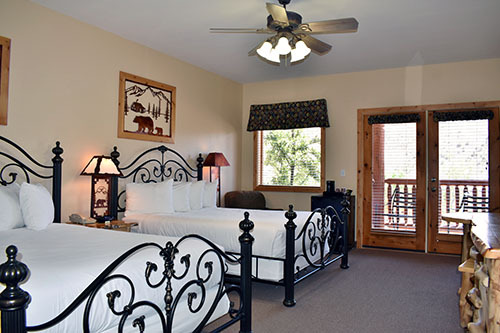 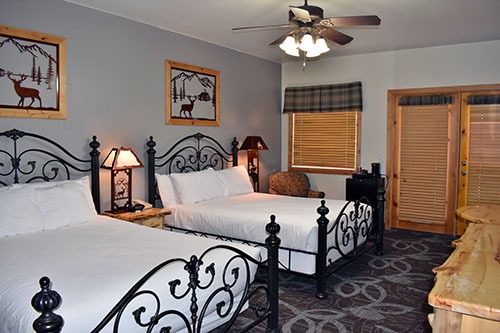 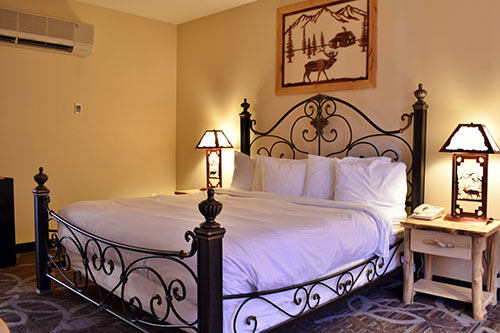 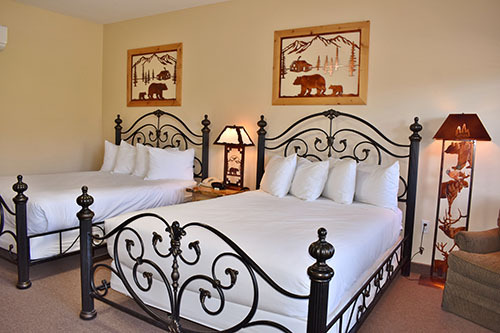 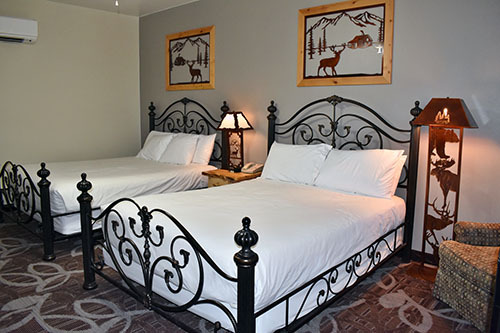 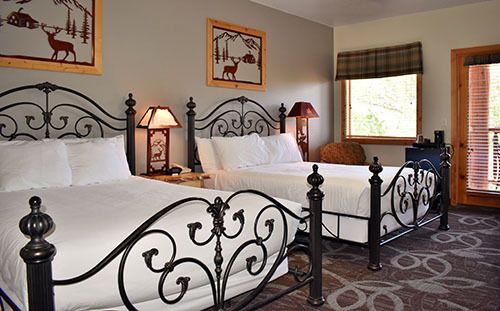 At approximately 400 square feet our standard king rooms feature a king bed with comfortable rustic style furniture and decor. 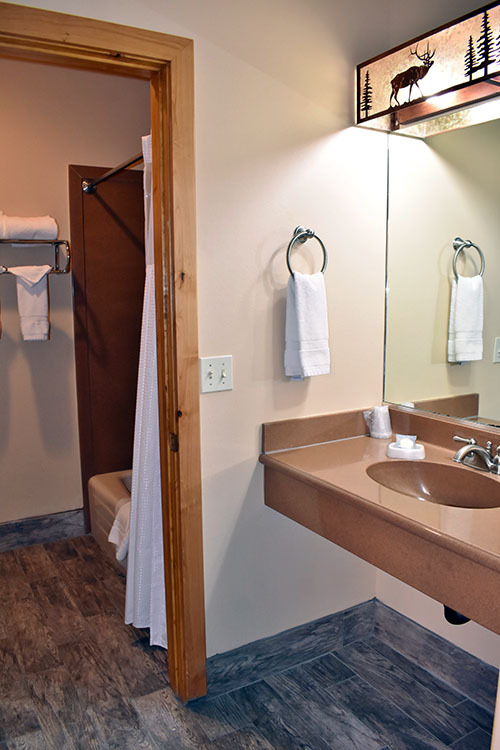 Each standard room comes with a flat screen television, Dish satellite channels, mini refrigerator, coffee pot, complimentary coffee, hair dryer, iron, and ironing board. 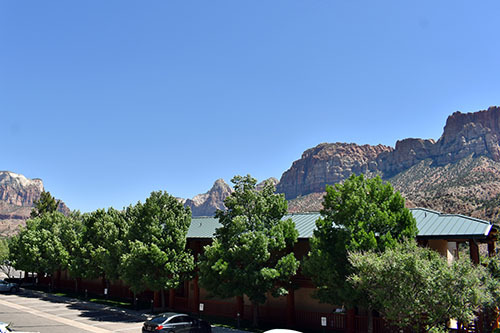 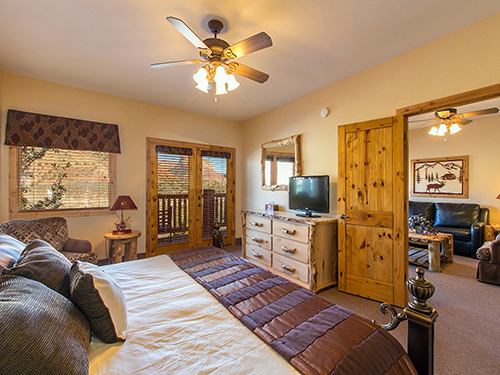 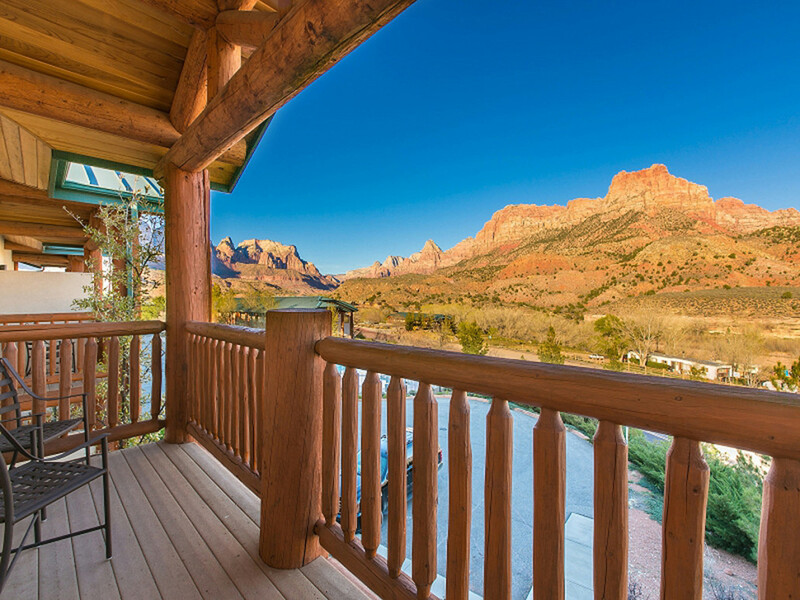 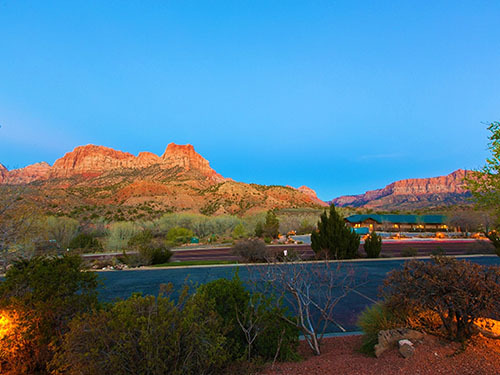 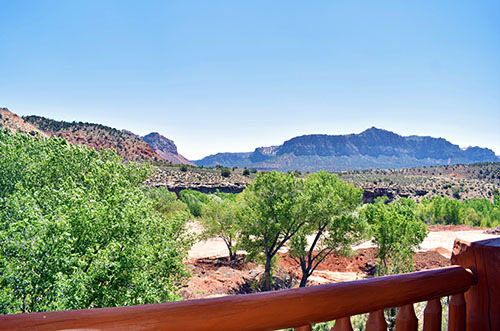 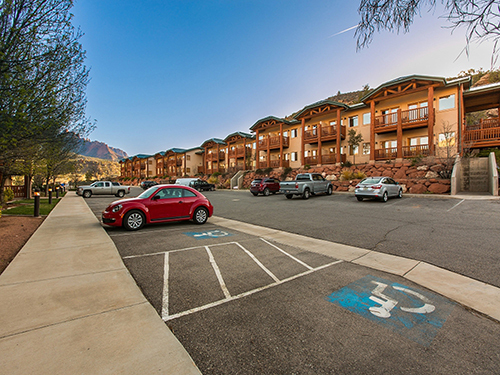 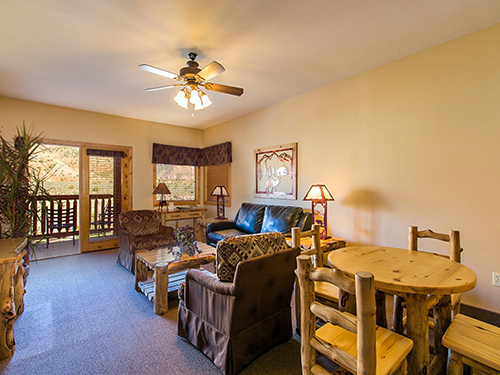 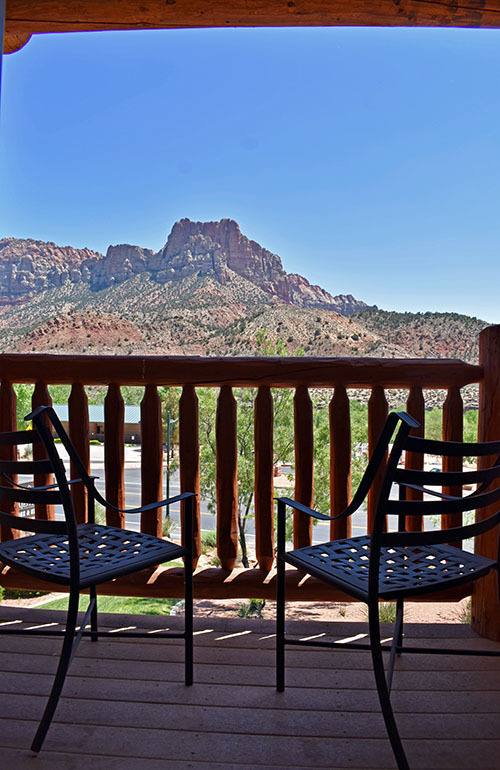 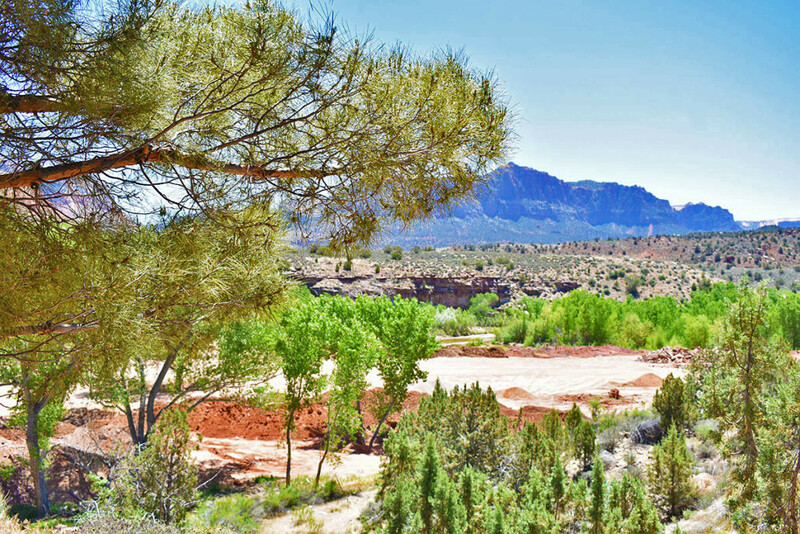 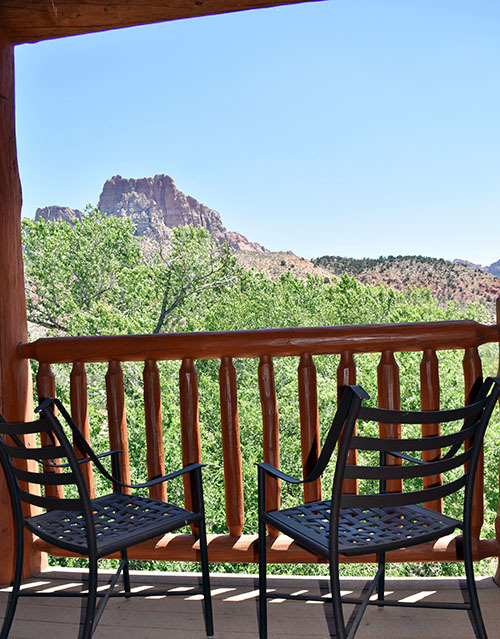 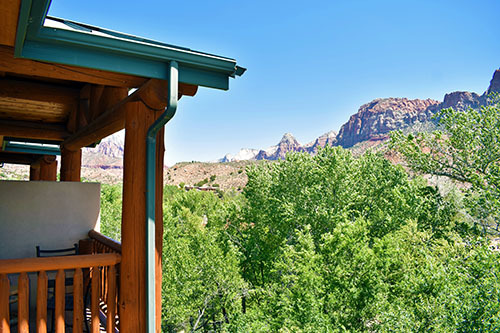 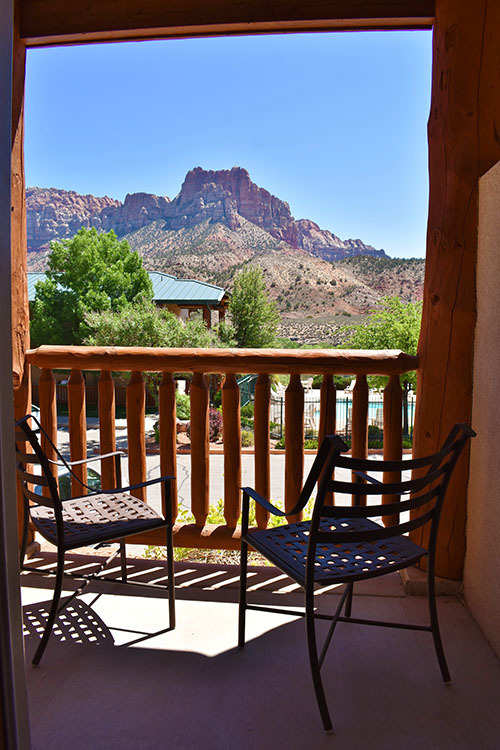 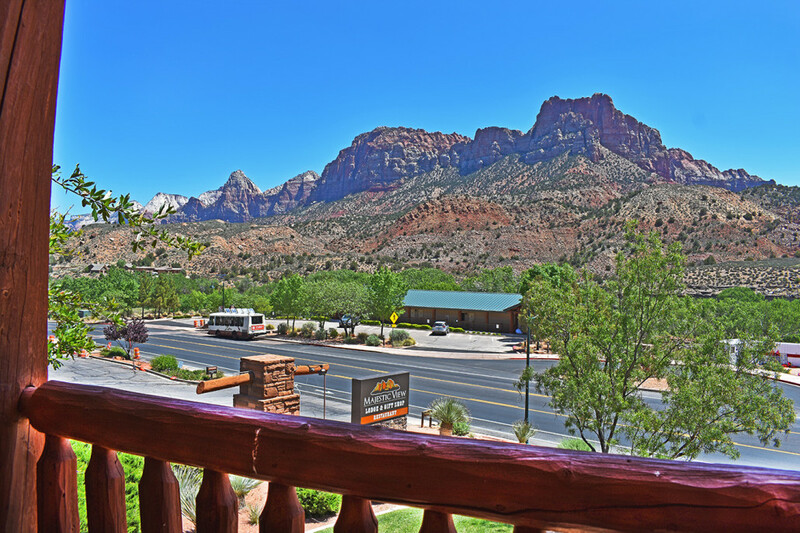 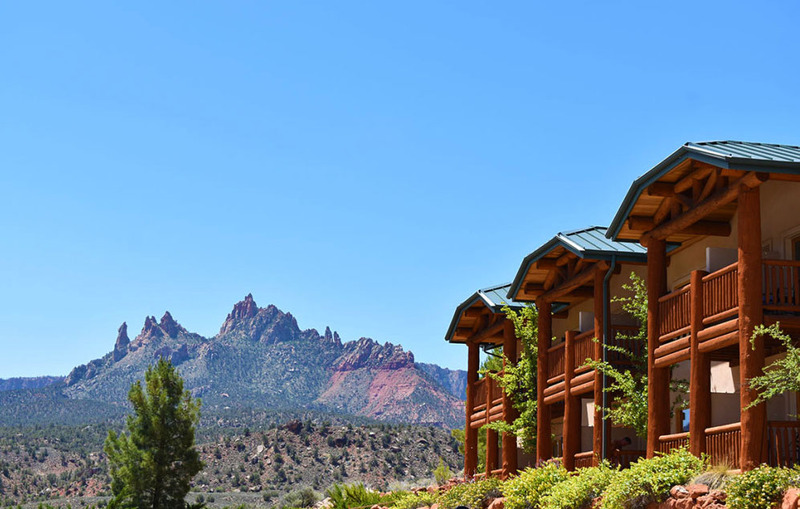 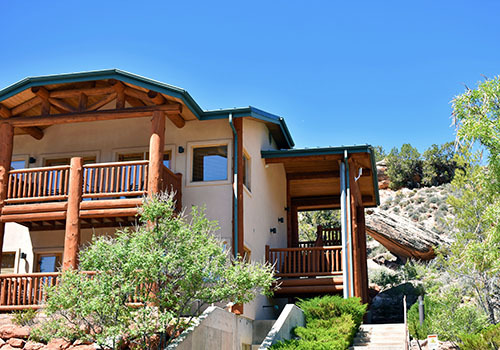 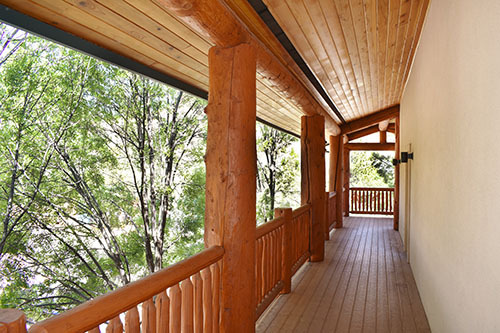 French doors lead you to a balcony or patio for your front row seat to the sunrise over the mountains of Zion. 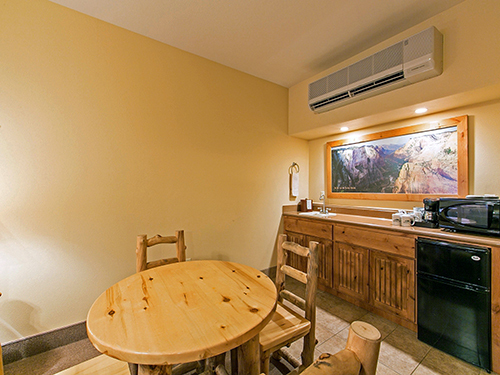 At approximately 720 square feet, our deluxe single king suites feature a living room with a flat screen TV, refrigerator, microwave, coffee pot, complimentary coffee, sink and dining table set. 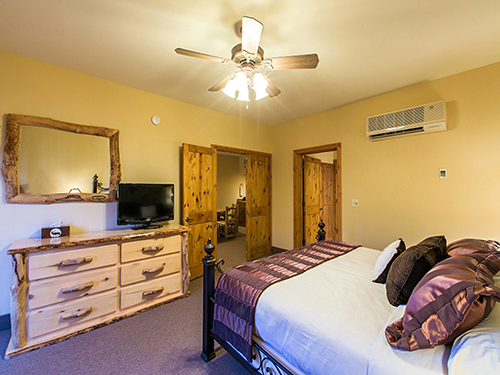 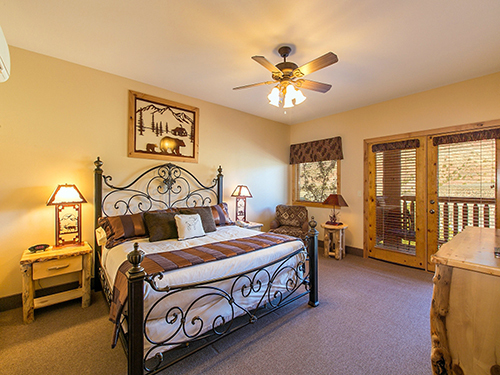 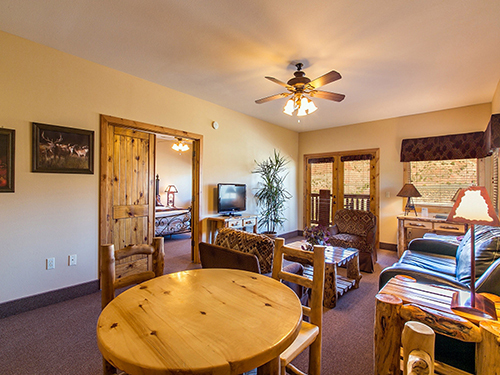 The bedroom quarters have a king bed and a flat screen TV with rustic decor. 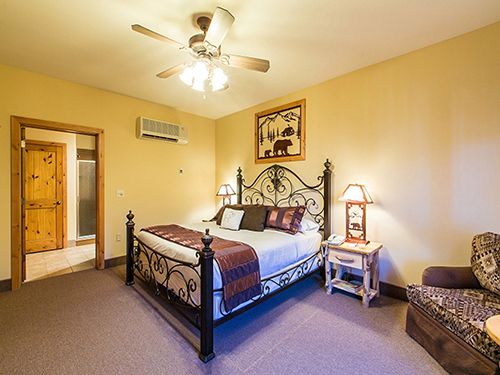 Both rooms have access to a double balcony via French doors off of each room. 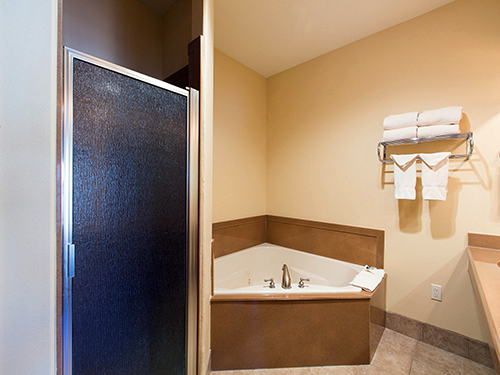 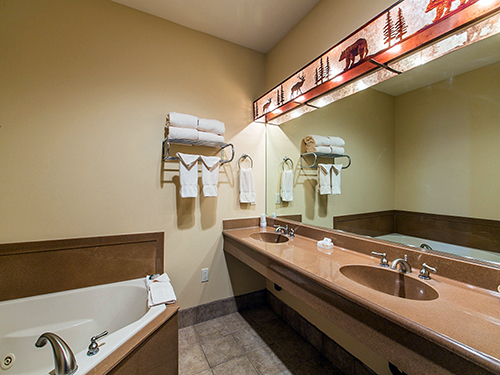 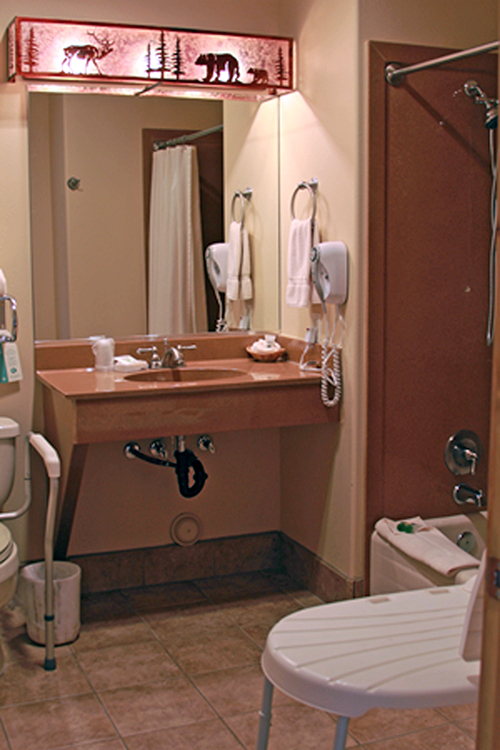 The bathroom has a jetted garden tub, separate shower, and water closet along with his and hers vanity. 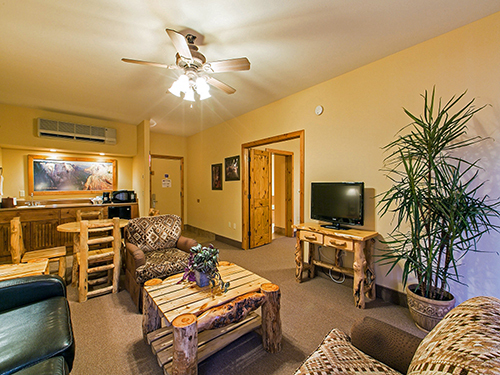 The décor is rustic with aspen furniture and subdued hues from nature. 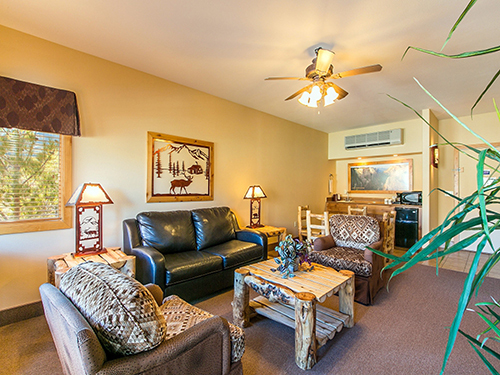 Our suites now have a full size sofa sleeper in the living room that is complimentary.